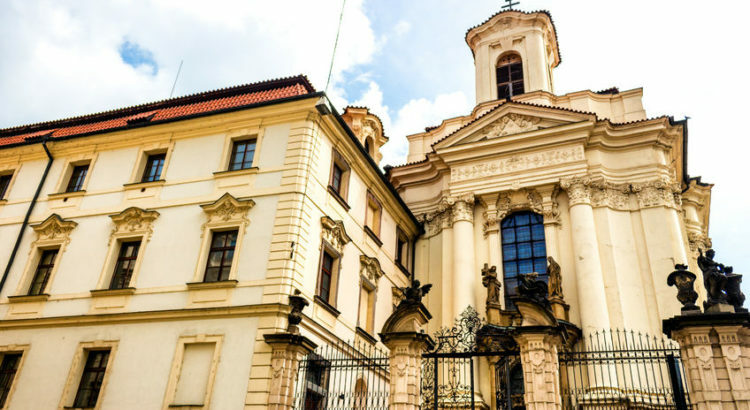 Located in Prague’s New Town, a few blocks from the Vltava River and not far from Karlovo Namesti Square, there lies a church that on first sight appears to be no different from all the others dotted around the city. Sure, it’s beautiful, an old Orthodox cathedral by the name of Saints Cyril and Methodius, but its elegant appearance hides a much more sensational past. Keen-eyed passers-by might notice the bullet holes in the walls, and the plaque next to them, the only outside reminder of what happened here more than half a century ago. It’s a story worth digging into, though, and one that forces a sobering reflection on one of Prague’s darker episodes. Way back during the Second World War, during the German occupation of Czechoslovakia, things weren’t looking too good for Prague. The Czechs hadn’t proved as submissive as the Nazis had hoped, and their resistance to Nazi rule was a thorn in the side of the Fuhrer. To clear up the situation, the Nazis decided to ship in a guy named Reinhard Heydrich, an extremely unpleasant character. He was so unsavoury, in fact, that he’d been described as ‘the man with the iron heart’ by Adolf Hitler himself. He was also known as ‘The Butcher of Prague’, ‘Himmler’s Evil Genius’, ‘The Young Evil God of Death’, and…well, you get the picture. Not a nice chap. During his first three days in Prague, 92 people were executed, and over the course of his stay there thousands more were arrested, killed, shipped to concentration camps, and tortured. Anyone with a slight connection to the resistance movement was assumed to be guilty and punished accordingly. In London, the Czech government in exile was watching this massacre take place, and decided they couldn’t just stand by and let it happen. They also wanted to send a message to the world that the Czechs did not support Nazism. In 1941 two paratroopers, Jan Kubiš and Josef Gabčik, parachuted into Prague to begin their mission to assassinate Heydrich. The plan was to wait for his car to pass, then open fire, killing him. Unfortunately, things didn’t quite go according to plan. The gun Gabčik was using jammed, and instead of dying in a hail of bullets, The Hangman got out of the car and confronted his attackers (it’s unclear why he didn’t just tell his driver to escape). In response, Kubiš threw a bomb at the car, destroying the vehicle and injuring Heydrich. A chase ensued, during which the assassins managed to escape and the severely wounded Heydrich collapsed and was taken to hospital, where he later died from sepsis. The assassins linked up with the other members of their operation and looked for somewhere to lie low. They eventually settled on a church not far from the river – you guessed it, St Cyril and Methodius. They managed to stay hidden here for a couple of weeks, but eventually they were betrayed and the Nazis discovered their position. Not ones to back down, the Czech fighters put up a valiant resistance, which is responsible for the bullet holes in the wall today. Sadly, they were unsuccessful and were forced to retreat into the crypts of the church. Unable to enter and round them up, the Nazis found themselves at a stalemate. Finally, they decided to fill the crypts with water and drown the Czechs. At this point, trapped in a dungeon which was steadily filling with water, the soldiers opted to take their own lives using either bullets or cyanide. The crackdown on Czechs after the assassination was truly horrific, with anyone even remotely associated with the event punished in some of the worst ways imaginable. Today, it’s possible to enter the crypts of the church where the soldiers made their last stand. You can see busts of the paratroopers adorned with short biographies, and feel the dark and imposing atmosphere, along with a small exhibition. The crypts are open from 9am to 5pm Tuesday to Sunday, and are closed on Mondays. Entrance costs 75 CZK, and the church is just a few minutes’ walk from Karlovo náměstí, which is home to several tram stops and a metro station (same name). It’s easy to forget the past; people have short memories. A walk around this church, however, is a stark reminder of a much darker time, and how the incredible bravery of a few men was able to challenge the forces of evil.